19th April 2015: Due to the sale of Gut Freiham to an investor, the Freihamer Wirtshaus had to be closed in 2014. The former leaseholders now run the El Diablo in Gauting. If and when restaurant and beer garden will be open again still stands in the stars. Freihamer Wirtshaus is part of a large and historical country estate located on the western outskirts of Munich. The estate also includes a castle built in 1680, a small church, various barns and stables. The very old buildings and still existing fields on one side of the estate remind visitors of the life of past times. The approximately 100 years old beer garden has 500 seats and is mostly shaded by ancient chestnut trees. Depending on the weather, live bands perform in the beer garden on Sundays. A special Sunday menu offer in the serviced area is a ¼ Bavarian farm duck with apple red cabbage and potato dumpling for €10.90 (2012). For those who wish they can also bring this order over to the self serviced tables. 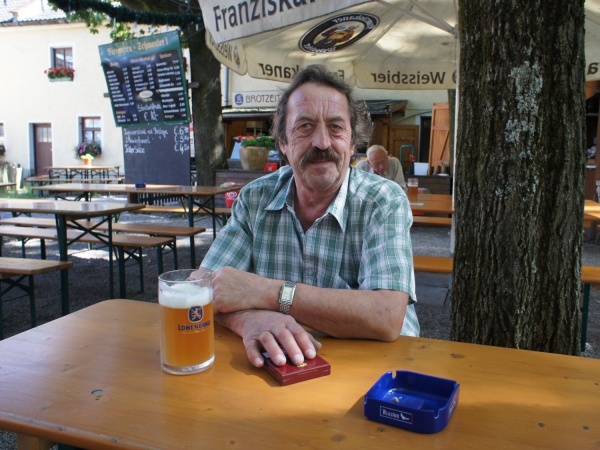 The beer sold is Löwenbräu and costs €6.50 p/Maß (April 2013). The small and charming restaurant is available to rent for special events. Until 50 years ago a distillery produced industrial alcohol from potatoes at this estate. The distillery also provided a form of central heating system for the surrounding buildings. The Freiham estate and the castle are owned and maintained by the Baron von Maffei family. The beer garden is open Tuesday to Sunday between 11am and midnight. Closed on Mondays.